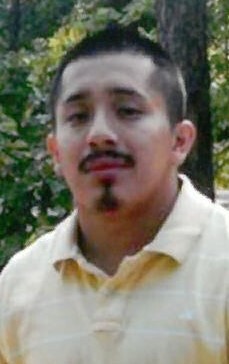 Marco Antonio Lopez Pedro, age 26 of Robbins died Saturday, April 13, 2019. Funeral services will be 10:00 AM Thursday, April 18, 2019 at San Juan Diego Catholic Church in Robbins. Burial will follow in Pine Rest Cemetery. The family will receive friends at the home. Marco attended North Moore High School and worked with Minhas Furniture in Robbins. He is survived by his mother: Maria Pascual; children: Malachi Lopez, Marabella Lopez and Aubrey Lopez; sisters: Ester Pascual, Alexa Pascual, all of Robbins, brother: Lizandro Pascual, Julio Pascual. Kennedy Funeral Home is serving the family.